Physical fitness and strength: Sailing activities can range from pulling, hoisting, leaning, lifting, climbing and stretching to name a few. Such physical activity provides a great workout, improving cardiovascular health, with the associated benefits of reduction in the risk of high blood pressure and heart disease. When you sail regularly this repeated activity improves muscle strength and tone. Since exercise and muscle growth means burning more calories, it’s a good way to avoid obesity and the related health problems. Moving around a boat involves a degree of care as you manoeuvre between fittings and fixtures in a confined area, adjusting to the sway of water movements. The same care and coordination is needed when embarking or mooring. This activity improves balance and coordination, and develops the core muscles. Research has shown that exercise is the most important factor in alleviating lower back pain, especially when it improves the core muscles that support the back. The stretching movements involved in operating the boat also alleviate built up tension in back muscles and restore flexibility. Relaxing and energizing: The health benefits of sailing are not just physical. The sound of water is associated with an improvement in mood. Research has shown that the splashing, lapping and surging of the water alters wave patterns in the brain, leading to a deeply relaxed condition. Combined with the sound of the wind in the sails and the absence of urban noise, the water soothes and relaxes a busy mind. Sea air has long been known for its bracing qualities and there are sound scientific reasons for this. It contains a high concentration of salt and healthy negative ions. These improve oxygen absorption, and also promote healthy levels of serotonin – a body chemical linked with improvements in mood and relief of stress. Visually, sailing often provides sights which are dramatic and beautiful. The view of a coastline seen from a distance, and the vast horizon ahead can create a sense of perspective, and a feeling of getting away from it all. Teamwork and shared goals: The crew must work as a unified team to control the boat and to stay safe. This means communicating effectively, often through non-verbal means, with teamwork and cooperation crucial. Shared accomplishments, shared enjoyment of a fun hobby, and the camaraderie amongst the crew provide a sense of well-being and confidence. Of course physical and mental exertion and fresh air usually leads to a good night’s sleep, and we all know the health benefits of that. Lovesail.com is a dating and social networking site for sailing enthusiasts around the world. Join us for dating, friendships and crewing opportunities. 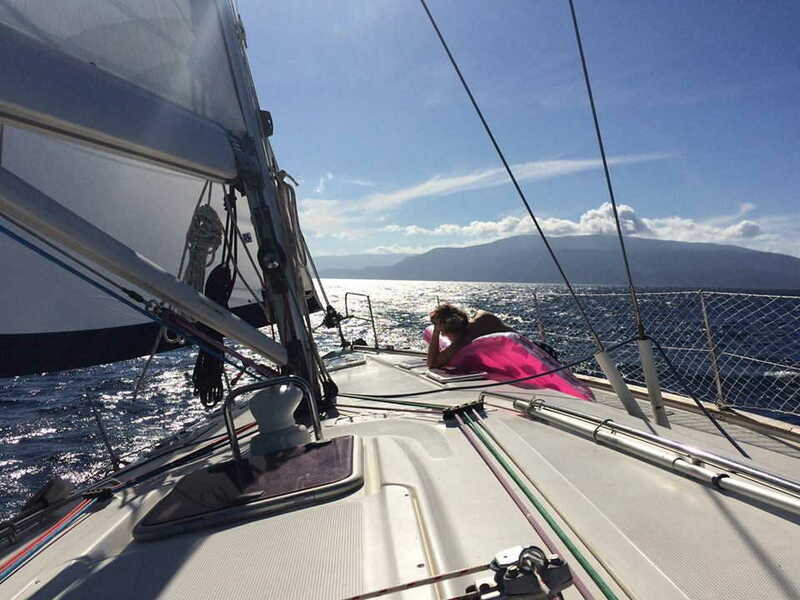 This entry was posted in News and tagged balance, camaraderie, communication, coordination, core muscles, energizing, exercise, flexibility, health benefits of sailing, negative ions, stretching, teamwork by Erica. Bookmark the permalink.